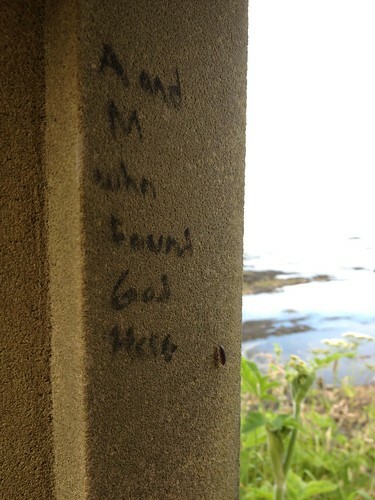 Tucked away in a part of the wall next to St Andrews Cathedral was this message and a wee witness. What is the story of A and M? How did they find God here?